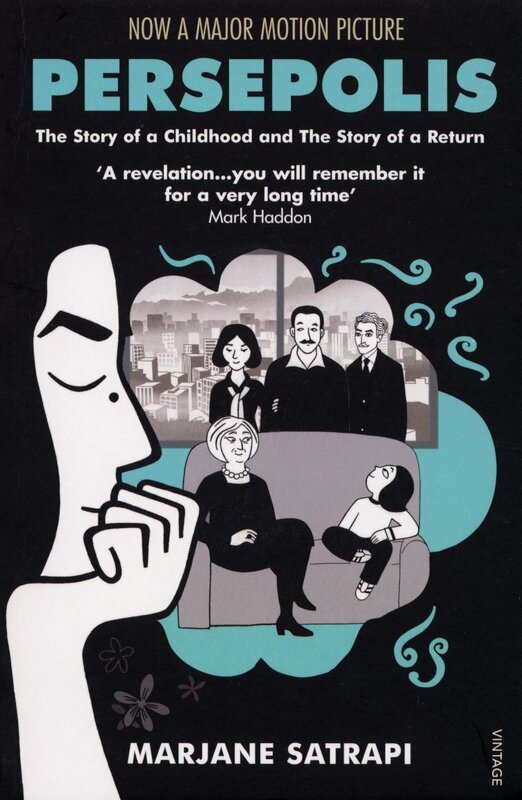 A year back, I read Persepolis by Marjane Satrapi. Amazed by the poignant autobiography, I decided to write a few journal entries from the perspective of one of the guardian of the revolution, Ali, whom Marji encounters in the graphic novel. I wanted to explore the guardians of the revolution during the Iranian revolution. The reason I chose to write a journal entry was that this medium would let me delve into Ali’s mind, write about his purpose as a guardian of the revolution, and how he became one. It would also help me show how Ali’s thought process transforms from one of innocence and naivety to that of destruction, violence, and prejudice towards all people who don’t follow the Iranian ethics. In addition, this medium is suitable because it lets Ali vent out his feelings without being judged. So, he is more likely to be honest in these entries. The entries aren’t written to anybody in particular but can be revisited by the young boy. Kareem, Ruhie, and I played hopscotch last week. It was awesome! But today, we couldn’t. Ruhie left us. I don’t know why, but she just did. It is really weird. Kareem and I were a little disappointed because we couldn’t finish our game of hopscotch last time. Now we’ll never know who won. Ruhie has also become quite weird. She wears this chador thing. It is quite hideous. I can only see her face floating aimlessly in space. I don’t like it. All the girls have to wear it. I don’t understand why. Why don’t boys wear it? Yesterday, Kareem and I were patrolling as usual, and we caught a westernized idiot and his family. We followed the normal procedures and asked him to show us his ID, registration, and driver’s license. I also did a breath check, and I, of course, smelled alcohol. That idiot! So, I interrogated him like we were trained to do, but he lied right to my face. He thought he was too smart. All these westernized pieces of trash think that. They just wear their ugly clothes and roam around Iran, protesting or partying. It is just ridiculous! I hate them. Anyways, he seemed really scared and I was glad I could make him so anxious and nervous. This proved to Kareem that I was a good guardian of the revolution. He thinks I am weak and cowardly. So, I did a house check because I desperately wanted to wipe that smirk off his and, obviously, make sure that this family wasn’t doing anything illegal or forbidden. I am not allowed to do house checks; only superior guardians have the permission. But, this would prove to Kareem that I was loyal to our regime. But, I felt really guilty because the older women had diabetes, just like my mother. I felt a little bad for her. Anyways, it wasn’t like the family had done anything wrong. But the man had drunk wine and that was against Iran’s morals. But, they had only drunk a bit of wine. So, I did the only thing I could do. I demanded a small bribe and walked away from the situation. Taking them to jail would be a hassle and I would have to justify myself. How could I justify my own actions when I myself was confused? Something good came out of this, though: I proved myself worthy to Kareem. Now, he parades around me and calls me patriotic and loyal. I’m just a little worried about the bribe. I don’t know. I don’t feel so good about it. I don’t know why I worry so much. But, it just seems wrong to take it. My other friends, Fahd, Babr, and even Kadyn, take money all the time. They defend their actions by saying that they need to earn money some way. I just don’t think this is the right way. As soon as the Iraqi army conquered the city of Khorramshahr, I signed up to be in the army. I was drafted three days after that. It had been an honor to be a guardian of the revolution. But to fight for my country and my people is what I have been waiting for. Now, I am at the Basij base camp. Kareem and I met our commander Arash, who told us that we would stay at the camp for a couple of weeks and then go to the front and fight. I am so excited!!! I met Ayollatah Khomeini!!! He had come to encourage us (not that we needed any). He shared inspirational stories about other soldiers at war and reminded us how martyrs were celestial beings. I really want to be one. I wonder how Arash knows all of this. Has he been to paradise? But if he did go there, then how did he come back to Iran? Maybe his padar told him after he died as a martyr. Arash’s padar is a hero. I want to be like Arash’s padar. I want to tell you something: I am a little scared. Actually, I am not scared of going to the border or dying for my country. That is the easy part. I am scared of the actual fighting. I don’t know how to hold a gun or any weapon for that matter. I thought we would practice at the camp, but we don’t. I don’t know whom to ask or talk to. Right now, we are preparing for the battle by beating our breasts to the funeral marches as a tribute to all the martyrs and soldiers. It is so soothing and invigorating, especially since my brothers and friends and I do it together. I feel so united and connected to my people, my ancestors, and my country. It just makes me realize how beautiful and majestic our country is. I want to make Iran proud. Shias Brainwashing Iranian School Children. Dir. Zakah1. YouTube. YouTube, 10 July 2016. Web. 05 Dec. 2016. <https://www.youtube.com/watch?v=pHBVPh0HD3E&gt;. “Children in Conflict: Child Soldiers.” Child Soldiers – Children in Conflict. N.p., n.d. Web. 05 Dec. 2016. <http://www.child-soldier.org/&gt;. “Arabic Baby Names » Boy Names » K.” Arabic/Muslim Baby Names » Boy Names » Starting From K » Page 1/2 » Www.babynamesdirect.com. N.p., n.d. Web. 05 Dec. 2016. <https://www.babynamesdirect.com/arabic-baby-names/Boy/K&gt;. Jahanshiri, Ali. “Family – Persian Phrasebook and Vocabulary List with Pronunciation.” Ali Jahanshiri’s Personal Website. N.p., n.d. Web. 05 Dec. 2016. <http://www.jahanshiri.ir/fa/en/vocab-family&gt;. “Farsi Language.” Farsi Swear Words. N.p., n.d. Web. 05 Dec. 2016. <http://www.youswear.com/index.asp?language=Farsi&gt;. “Khorramshahr.” Encyclopedia Britannica Online. Encyclopedia Britannica, n.d. Web. 05 Dec. 2016. <https://www.britannica.com/place/Khorramshahr&gt;. Why do write pieces like these? Don’t get me wrong, they are amazing! But what give you the idea? Reflection after reading a novel really helps! I have also taken English SL (IB curriculum), so we have to write such pieces for assignments. It’s been a long time since I read Persepolis, but it left a strong impression on me. Powerful piece of work. Previous Previous post: What is Etymology?